BSF recruitment 2016-17 notification 176 posts: BSF Border Security Force invites application for the post of 176 SI, HC & CT in Water Wing in BSF. Apply before 30 days from the date of Publication. For SI:- 10+2 or its equivalent from a recognized Board or University and first Class Master Certificate issued by the Central or State inland Water Transport Authority or Mercantile Marine Department. 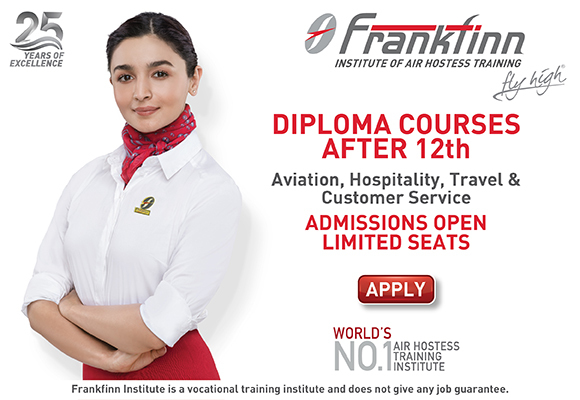 For HC:- Matriculation from a recognized Board or equivalent with Engine Driver certificate / Serang Certificate / ITI Diploma in relevant from a recognized Institute. For CT:- Matriculation from a recognized Board or equivalent with ITI Diploma in relevant from a recognized Institute. Selection Procedure:- Selection will be made on Written Examination, Documentation, Physical Measurement, Physical Efficiency Test, Trade Test & Medical Examination. Application Fee:- Each application should be accompanied by a Demand Draft / Postal Order for Rs. 50/- (Fifty) as examination fee in favour of the addressee to whom the application is addressed, payable at respective SBI/Post Office at the location or nearby station. However, fee is exempted for candidates belonging to Scheduled Caste, Scheduled Tribe, BSF Candidates, Ex-Servicemen. How to apply:- Interested and eligible candidates may apply in prescribed application form along with Self-attested copies of relevant documents, three recent passport size photograph & Two self-addressed envelopes with postal stamps worth Rs.39/- send to Any one of the Centre given in Notification on or before 30 days from the date of publication in Employment News. 1) Applications, which are not on prescribed format or not accompanied by the required enclosures or incomplete or defective shall be summarily rejected. No representation or correspondence regarding such rejection shall be entertained under any circumstances. 2) The candidates applying for the examination should ensure that they fulfill all the eligibility conditions for admission to the examination. Their admission at all the stages of examination will be purely provisional, subject to their satisfying the prescribed eligibility conditions. lf, on verification, at any time before or after the written examination, it is found that they do not fulfill any of the eligibility conditions, their candidature for the examination will be cancelled by the selection board. 3) Applications received afier closing date and any enquiry in this regard will not be entertained by the Selection Board. 4) Candidates already serving in Govt./Semi Govt. Departments should apply through proper channel and NOC obtained from the employer should also be enclosed. 5) Candidates are not required to submit any original certificates in support of their claims at the time of submission of application. They should ensure they fulfill all the eligibility conditions. However, Candidates are required to produce all original certificates during Second phase of examination at the time of documentation. 6) Candidates are informed that written examination is only a preliminary test for screening and short listing. No result of any of the tests will be supplied to the candidates and no correspondence will be entertained by the Board in this regard. 7) Before applying, candidates in their own interest are advised to go through the detailed instructions contained in this notice carefully. This notice and specimen of the application form is also available on the BSF website www.bsf.nic.in. 8) The application form (Annexure-A) must be filled by the candidate contently and correction, if any should be legible and attested by the candidate. 9) The venue, date and time of written examination, documentation, physical standard test, physical efficiency tests, trade test and medical examination will be intimated to the candidate. 10) The recruitment board shall not be liable for any claim arising out of any injury etc. suffered during the tests. The decision of the recruitment board shall be final in all matters connected with this recruitment. 11) An employee serving in the same rank and pay grade will not be entitled to apply for said post. 12) On behalf of Govt. of India, selection committee reserves its right to reject or accept the candidature of any applicant at any stage. 13) Candidates seeking reservation benefits for SC/ST/OBC must ensure that they are entitled to such reservation as per eligibility prescribed in the Notice. They should also be in possession of the certificates in the format prescribed by Government of India in support of their claim at the time of application. 14) Candidates belonging to the Physically Handicapped category are not eligible to apply for this examination. 15) Central Government civilian employees claiming age relaxation should be in possession of a certificate in the prescribed format from their office, in respect of the length of continuous service which should be for not less than three years in the immediate period preceding the closing date for receipt of application They should also continue to have the status of Central Government civilian employees till the time of appointment, in the event of their selection. 16) Candidates must write the papers/indicate the answers in their own hand writing. 17) ln the question papers, wherever necessary, the Metric systems of weights and measures only will be used. 19) lf any candidate is found to possess mobile phones or any other means of wireless communication position in the working or switched off mode in the examination hall, his candidature shall be cancelled forthwith. 20) Specimen of the application form with admit card can also be downloaded from BSF website www.bsf.nic.in. 21) Any change/Notice for candidates will only be published on BSF Website. Hence, candidates in their own interest are advised to log on to the BSF Website from time to time.